We couldn't resist sharing this story with you - not only because we are self-confessed francophiles, but because this is an incredible story about the transformation of a swimming pool in Paris that is steeped in cultural, fashion and political French history. The Piscine Molitor opened in Paris in 1932 in an exuberant art deco style. In winter is was converted into an ice skating rink, and in the summer it was the centre stage for fashion shows, galas and the latest trends in swimwear (or lack thereof!). 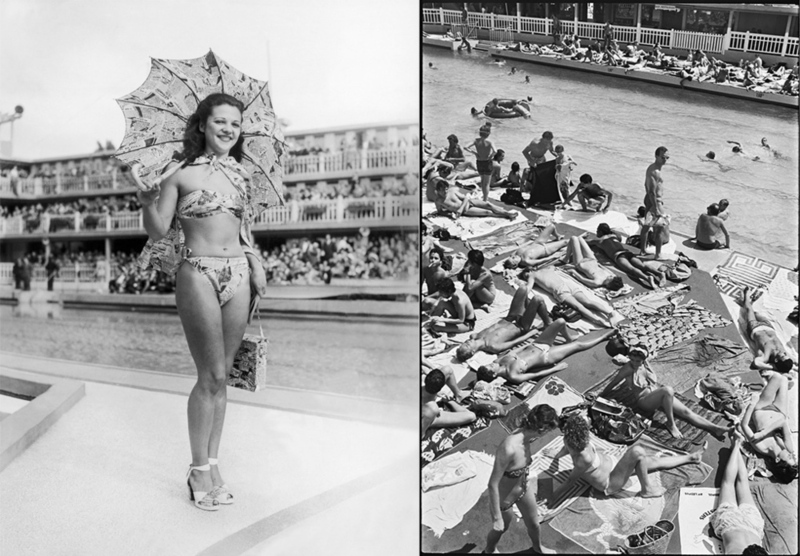 The bikini debuted at this swimming pool at a fashion show in 1946. It was not just a place to swim, it was the place to be seen. The Piscine Molitor was closed in 1989 to make way for public housing. The enormous site has been left derelict in its location in the 16th arrondissement. In recent years, the pool has been used by graffiti artists and squatters, that have in turn added to its rich history. Visit The Verge to read the full article. Piscine Molitor. Eté 1984-85. Paris 16ème.